Joey leaving Slipknot was a move I was NOT expecting in the slightest (Or anyone for that matter). Scar the Martyr bring to the table a fairly decent album considering they have just started out of the blue. With Joey on drums I was expecting a slipknot feel to it. I was soon to be taught wrong. The main problem I had with the album was that it was just too long. A song like "Blood Host" could have been significantly better if they just chopped off the last 1/2 minutes. Overall we get a half decent album that's nothing out of the ordinary but a quite enjoyable listen to. Album's good, but lacking anything really memorable. From what I've heard so far Scar the Martyr is a solid effort for Slipknot's long awaited 5th album. Nu-industrial metal supergroup Scar the Martyr are instrumentally gifted to nobody's surprise, really. When you have Kris Norris, Jed Simon, and Chris Vrenna involved in a musical project, one would easily expect copious amounts of badassery to go along with promising innovation. I'm being perfectly honest here when I tell you guys that the band's self-titled debut demonstrates their potential. The #1 complaint which should effortlessly be brought up is how needlessly long Scar the Martyr is; "Sign of the Omeneye," "Never Forgive Never Forget," and "Last Night on Earth" could've been scrapped from this release. There's also a fair bit of Slipknot influence on here, which is to be expected when your drummer is Joey Jordison and the frontman tries his damnedest not to vocally resemble Corey Taylor - with mixed results. 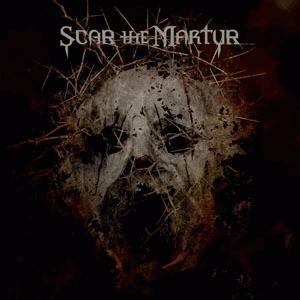 By and large, however, Scar the Martyr can be something more if the other instrumentalists were given creative input. They also ought to be wary of the length. For what it's all worth, Scar the Martyr is a thankfully bearable album that contains interesting musical ideas eagerly waiting to be expanded upon. My vote is in that this is the next Slipknot album that wasn't. I'll be curious to see/hear if the actual pending Slipknot album is more towards Stone Sour or Scar The Martyr. Although overly long and inconsistent thanks to some filler material, this is still a solid release that shows some freshness in Jordison's songwriting.